In 2017, a US family was kicked off a Delta flight from Hawaii to Los Angeles due to the argument between the family and Delta’s crew members over the family’s refusal to give up their 2-year-old child’s seat which they had actually paid for, according to BBC News. In 2019, it is Delta’s partner airline, Korean Air, which kicked Atlanta-based two Indian American teen boys off the flight from South Korea to Manila where their father, Rakesh Patel, is residing temporarily. In the week-old incident that grabbed global attention, the two unaccompanied minors of Indian-origin boarded the connecting flight at Seoul for Manila in the second leg of their itinerary, which was originally booked with Delta Airlines. After having visited their ailing grandmother in Atlanta, the boys traveled on Delta Airlines from Atlanta to Seoul in the first leg of the itinerary. 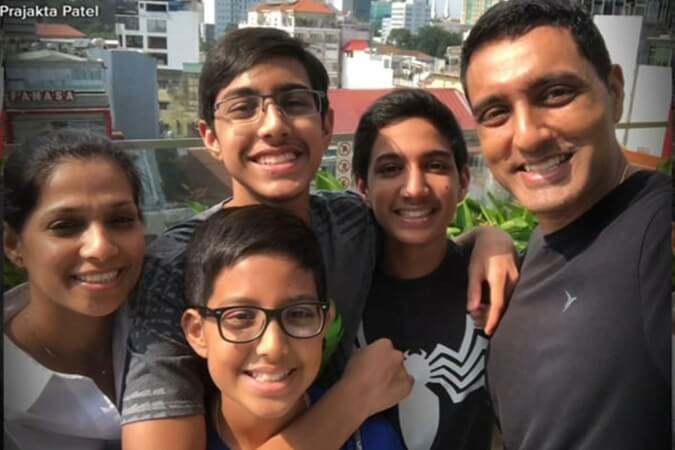 One of the boys – 15 and 16 – has severe peanut allergy, which Rakesh Patel had notified Delta Airlines about prior to his sons’ origin flight schedule. Delta kept his special request to ensure a food allergy-free environment for his eldest son by having not served peanuts in any form, during the first leg of the journey. The trouble ensued for the Patel sons when they boarded the connecting flight with Korean Air and were told by a flight attendant that peanuts would be served on board. They sought options from the flight attendant to help them avoid or reduce the exposure to peanut allergy. They even pleaded with the crew members to make them sit with an air mask at the back of the plane, but the request was turned down. The unaccompanied teens were left with two options – to disembark the plane or manage to deal with the risks of exposure to peanuts. Several leading dailies and news channels quoted the Indian American Patel family saying that Korean Air blatantly told their sons aboard that a food allergy-free environment could not be guaranteed at the culinary discomfort of other guests who would have liked to be served peanuts as part of their inflight food menu. As the brother duo insisted on staying aboard and continued to make the crew understand their ordeal, they were forced off the plane and left stranded at Seoul Airport before they were put on a return flight to Atlanta. “I was very shocked and almost in tears,” the boys’ mother said to ABC’s Good Morning America. “My children were left stranded alone when I was sitting halfway around the world. It’s not easy being in that situation when you are so far from your kids,” said their father in a rueful tone during a media interview. Though both Delta Airlines and Korean Air have apologized to the Patel family and promised an honest investigation of the incident, it has raised questions like whether two or more airlines operating an itinerary do sync their inflight service policies throughout the flight, whether they implement the same inflight service policy from the origin to the destinations, whether an airline can refuse to accommodate a passenger’s special service request on board…. “When airlines fail to confirm special service requests or deny providing certain special services aboard, air-ticketing agencies are made to bear the onus of operating airlines’ failure or refusal to cater to few passengers’ special needs on board. That’s why we strongly advise our customers to contact airlines and check for confirmation of their special service requests at least 24 hours before their departure flight, even though we make sure to place their requests with operating airlines or validating carriers, right after booking their flights,” said the chief customer relations officer of Indian Eagle, a leading travel booking organization in the United States and a most reliable travel partner of Indians in America. Please write in the comment if you were ever denied special inflight services, or you ever suffered heavy inconvenience on board, or if you have had the same or similar experience. Your experiences and suggestions may help the Patel family and other air travelers.